First cut a 4 1/4" x 11" piece of dark blue card stock and fold it in half for the base, a 4" x 5 1/4" piece of Stampin' Up! Metallic Silver card stock for the front, a 1 3/4" x 5 1/4" piece of glossy white for the polished stone strip, a 2 1/4" x 3 3/4" piece of dark blue for the image's background and a 2" x 3 1/2" piece of white for the image. Next create the polished stone strip (click here for an awesome tutorial) with Stampin Up! Night of Navy and Adirondak Silver Mixative re-inkers and attach it to the front layer. 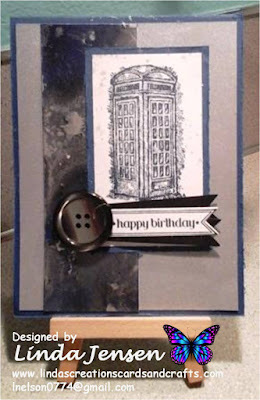 Then stamp the phone booth on white card stock in Night of Navy ink, stamp around it with a stamp from a Stampin' Up! 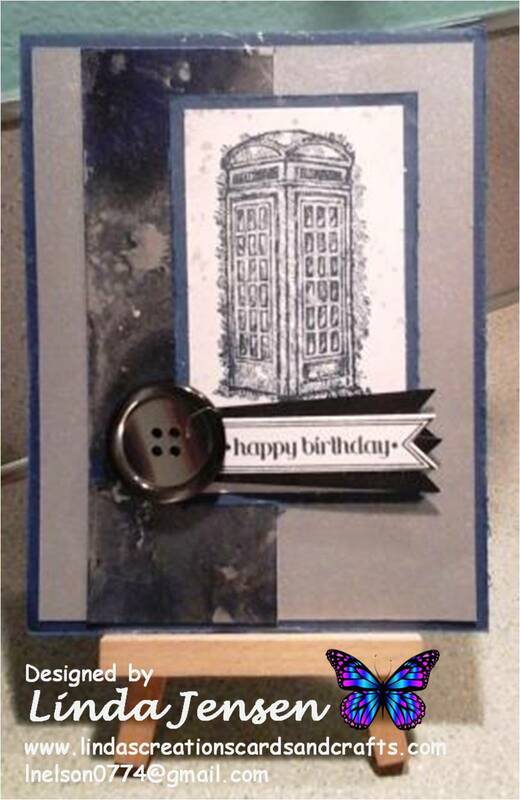 Gorgeous Grunge set in Night of Navy using the double stamping technique (ink your stamp and stamp on a piece of scrap paper then on your project without re-inking) and attach it to it's dark blue background then to the front layer. Next cut out two black and one white banner using Stampin' Up! 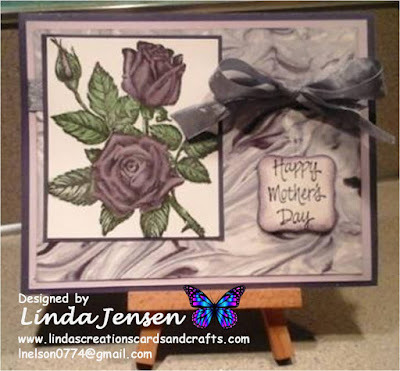 Bitty Banners dies then stamp the sentiment on the white one with Night of Navy ink and a stamp from a Stampin' Up! Itty Bitty Banners set. Next attach the banners to the front layer, add a large black or blue button, attach the front to the base and enjoy! Please let me know if you have any questions, I'm always happy to help I always appreciate any comments/suggestions that you'd like to share. Thank you for stopping by, have a great day!